The popularity of l-citrulline and l-citrulline malate focus primarily on l-citrulline’s ability to raise nitric oxide levels and relax arterial stiffness (1). Both forms of l-citrulline do this, but choosing which form to supplement with will come down to the question of why you are taking it. TLDR; To improve athletic performance and recovery, l-citrulline malate is king (2); however l-citrulline is equally as effective for those wishing to improve circulation and reduce arterial stiffness for vitality reasons. L-citrulline is a non-essential amino acid that has 3 major roles in the body (3). It participates in the urea cycle to eliminate excess ammonia (4). Is essential for nerve and structural proteins as well as degradation via citrullination (5). L-citrulline is both a byproduct, and necessary ingredient for nitric oxide production (6). Roles 1 and 2 likely don’t matter very much to you. Instead, we’re all about l-citrulline’s nitric oxide production. So how does l-citrulline create nitric oxide? L-citrulline assists in nitric oxide creation as a direct participant in l-arginine synthesis (7). This newly created l-arginine then goes on to interact with oxygen and NOS to create nitric oxide and l-citrulline (as a byproduct) (8). You can see the whole process below, where l-citrulline becomes l-arginine while neutralizing ammonia, then for that l-arginine to become l-citrulline again while also producing nitric oxide. This image was modified from examine.com, thank you Kamal! L-arginine Vs l-citrulline recap: L-citrulline becomes l-arginine which then makes nitric oxide. Why do we take l-citrulline instead of l-arginine? We choose to supplement with l-citrulline over straight l-arginine because l-citrulline enters the blood stream more effectively (9). Supplemental l-arginine on the other hand is largely destroyed by both the intestines and liver (10). Supplemental l-citrulline is more effective at increasing nitric oxide than supplemental l-arginine. So how does l-citrulline, and l-citrulline malate benefit blood flow and athleticism? L-citrulline malate is citrulline + malic acid (11). You can find it as both l-citrulline malate and l-citrulline dl-malate. The dl-malate refers to 2 l-citrulline’s per 1 malic acid whereas standard is 1:1. 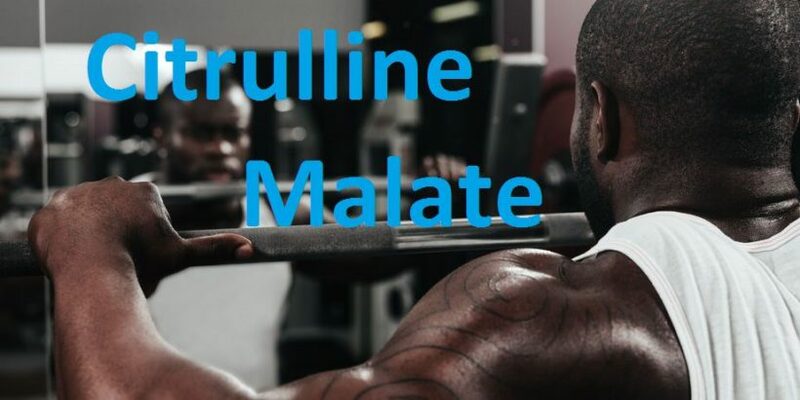 What does l-citrulline malate do? Like standard l-citrulline, l-citrulline malate raises nitric oxide levels. However unlike l-citrulline, the malic acid in l-citrulline malate participates in the Krebs cycle (12). In case you missed biochemistry class – that means that the malic acid from l-citrulline malate helps you to make cellular energy. In fact, shortages of malic acid in the body are attributed with chronic fatigue (13)… Something an athlete always wishes to avoid. So, which do I take? L-citrulline or l-citrulline malate? It’s all depends on your goals. If you simply want to increase circulation for male vitality, then standard l-citrulline is fine. Participants supplementing with citrulline malate before exercise were able to complete significantly more reps in both upper body and lower body weight lifting workouts (14). This same effect has been seen in advanced resistance trained men (15) (16)). The measureable effects of citrulline malate supplementation include increased endurance, more reps, and greater explosive power – all of which are applicable to competitive sports performance (17). L-citrulline has been well noted for its ability it increase the work performed while training. However, a recent study suggests that l-citrulline may also contain anabolic properties, through either promoting nitrogen balance or directly activating protein synthesis (18). Several of the above cited studies mention l-citrulline malate’s ability to improve recovery. Though, this effect isn’t as predominant as other sports supplements. 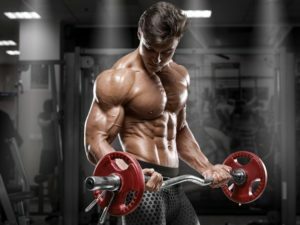 L-citrulline malate dosage: how much l-citrulline malate should I take? The cool thing about l-citrulline malate, is that its benefits can be realized with acute supplementation. That means, you don’t need to take it consistently for days or weeks in order for it to work, like say beta-alanine, BCAAs, or creatine. While l-citrulline malate has been found to be effective even in small dosages for boosting performance (19) and reducing lactic acid (20); over time small dosages don’t quite hold strong (21). So while you don’t need to take l-citrulline malate every day to reap its benefits, you will want to strive for a clinical dosage of 6 grams l-citrulline malate 30-60 minutes before exercsie in order to reliably get the best results, every time. Overall, l-citrulline and l-citrulline malate are notable ingredients for performance enhancement. They are uniquely able to increase nitric oxide and performance in a dose-dependent acute manner, and have been deemed quite safe (22). This has led to many supplement brands including l-citrulline malate in their pre workout supplements, most notably Pre-Jym by Jim Stoppani (23). In a double-blind placebo study, participants look either 8 grams of l-citrulline malate or placebo and then performed German volume training (24). The result was that the placebo group actually out-performed the l-citrulline malate group. However what isn’t discussed, is that the placebo was 6 grams of citric acid, which, isn’t really a placebo as it has been found to increase performance and like citrulline malate, participates in the citric acid cycle (25). So basically, there wasn’t a zero-supplement group. This was a comparison between citric acid and l-citrulline malate over 2 workouts – that’s it! Due to this, we don’t feel a burn on the reputation of l-citrulline malate. Besides getting a great pump, there doesn’t appear to be any. Though, if you take too much, diarrhea may ensue. Try not to take more than 8 grams per day. 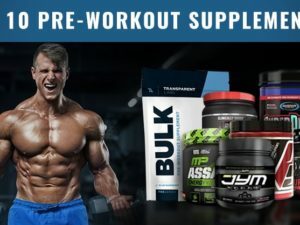 You can find l-citrulline and l-citrulline malate all across Amazon and Bodybuilding.com, however instead of buying stand-alone l-citrulline malate – we prefer to get it through our pre workout supplement. How is l-citrulline made? Is it from watermelons? Many brands advertise l-citrulline as ‘an amino acid prevalent in watermelons’ thus leading you to believe that they are in fact sourcing this ingredient from watermelons. L-citrulline is commonly made the same way many ingredients are: through biological manufacturing using specialized strains of bacteria plus either l-arginine or glucose (26)(27).